Share your Nintendo Switch gameplay with others on Twitch. Streaming Nintendo Switch video games on Twitch has become a popular hobby for gamers of all ages and a business for professional streamers looking to earn money from their favorite hobby. Broadcasting Nintendo Switch gameplay to Twitch may not be as simple as doing so from an Xbox One or PlayStation 4 but it is entirely possible and also much easier than most would think. Unlike the Xbox One and PlayStation 4 video game consoles, there is no Twitch app available to use on the Nintendo Switch. This means that it is impossible to stream gameplay using just the device and those interested in broadcasting on Twitch or other streaming services will need to invest in additional hardware and software. Due to there being no Twitch app on the Switch, video game streamers will need to broadcast via the free streaming software, OBS Studio. Here's everything that you'll need for this Twitch streaming method. A computer. Any Windows or macOS computer will be fine however the more powerful the computer's processing power, the higher the resolution you'll be able to stream on Twitch. OBS Studio. This software can be downloaded for free from its official website for Windows and macOS computers. Elgato Game Capture HD60 S. Most capture devices that support 1080p resolution and 60 frames per second will work fine with OBS Studio, however, those made by Elgato are very well-made, easy to install, and relatively affordable. The Elgato Game Capture HD60 S is one of the more popular capture devices used by Twitch streamers and with good reason. Webcam. This is optional for a basic stream but is needed if you want to incorporate footage of yourself while playing. A Microphone or headset. This is also optional but can improve the audio quality significantly during your stream. Before you can begin streaming on Twitch, you'll need to connect your Nintendo Switch console to your computer. You will still be able to view your gameplay on your television set as usual with this setup. These instructions are for the Elgato Game Capture HD60 S but they will also work for other similar capture devices. Make sure your Nintendo Switch is in the dock and look at the HDMI cable that runs from it to your TV. Unplug the end that's connected to your TV and plug it into your Elgato Game Capture HD60 S.
Plug the Elgato Game Capture HD60 S' USB cable into your computer. This will feed the game footage to OBS Studio. Find the HDMI Out port on the Elgato Game Capture HD60 S and connect the additional HDMI cable that should have come with the device. Plug the other end of this cable into the HDMI In port that was originally used on your television set. 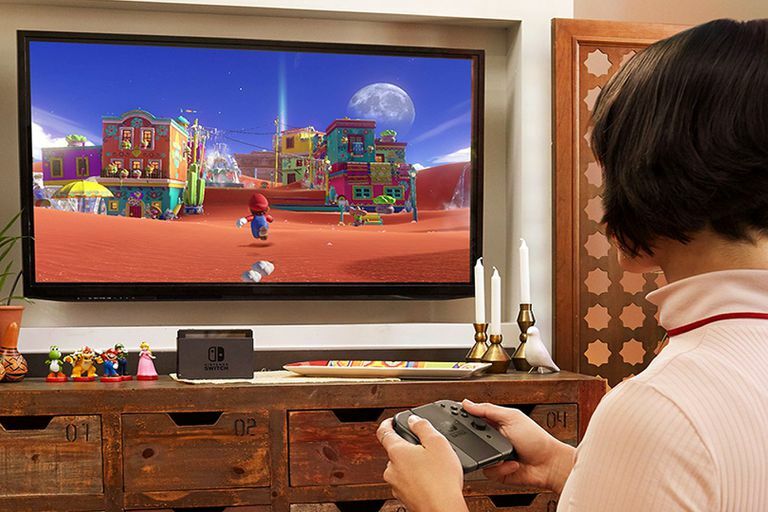 You can now play your Nintendo Switch as usual on your TV, however, your computer will now also receive a copy of the footage and sound thanks to the connected USB cable. The first thing you need to do after installing OBS Studio on your computer is to link it to your Twitch account. This can be done very quickly by logging into the official Twitch website and going to Dashboard > Settings > Stream Key, copying your unique number, and then opening OBS Studio, selecting Settings > Streaming > Service > Twitch, and pasting the number into the available field. OBS Studio will now broadcast to Twitch whenever you stream. After your Twitch account is connected to OBS Studio, you'll need to import your Nintendo Switch as a media source via the following method. Right-click with your mouse anywhere in OBS Studio and select Add > Video Capture Device. Name this new layer something descriptive. Every media source you add to OBS Studio will need its own unique layer. From the dropdown menu, find your capture device and select it. Press Okay. A box showing the live footage from your Nintendo Switch should appear in OBS Studio. You can now resize it and move it with your mouse to get it the way you like. If you have a webcam that you want to use to capture footage of yourself while playing, make sure it's connected to your computer and repeat the steps above for adding the capture device, this time making sure to select your webcam from the Video Capture Device dropdown menu. Like the Nintendo Switch footage, the webcam window can also be resized and moved with your mouse. A microphone or headset can also be used with OBS Studio. The program should automatically detect them once they're plugged in and their volume levels can be adjusted via the volume sliders within OBS Studio at the bottom of the screen. When you're ready to begin streaming, press the Start Streaming button in the lower-right of OBS Studio. Good luck! While companies such as Microsoft and Sony encourage users to stream their respective Xbox One and PlayStation 4 video games on services like Twitch and YouTube, Nintendo, on the other hand, is notorious for its attempts to protect its brands and has been known to file takedown requests on video websites on the basis of copyright infringement. Luckily for Twitch streamers, Nintendo mainly focuses on taking down YouTube videos of its games and usually lets Twitch users do what they like. If you plan to upload full videos or small clips of your Twitch streams to YouTube after your broadcast has ended though, it's highly recommended to sign up for the Nintendo Creators Program. The Nintendo Creators Program is run by Nintendo and essentially shares any revenue your YouTube videos would earn with Nintendo after they're published. Joining this program doesn't guarantee that your videos will be protected from being taken down by Nintendo but it does decrease the chances of this happening significantly due to them being officially registered with the company. Nintendo's strict content policy is one of the reasons that many video game streamers choose to broadcast gameplay of Xbox One and/or PlayStation 4 titles instead of those on the Nintendo Switch. Both of those rival consoles are completely open when it comes to streaming and require no registration of any kind with the related companies.